A view of Val d’Ossola in Piemonte. Wines are emotional for me- some more than others. Cantine Garrone makes some of the most potent wines I know- effectively pulling at my heartstrings anytime I taste them. This obscure winery is the result of winemaker and visionary Mario Garrone’s unflagging love for his land. Mario Garrone and Diego Meraviglia in the vineyard. 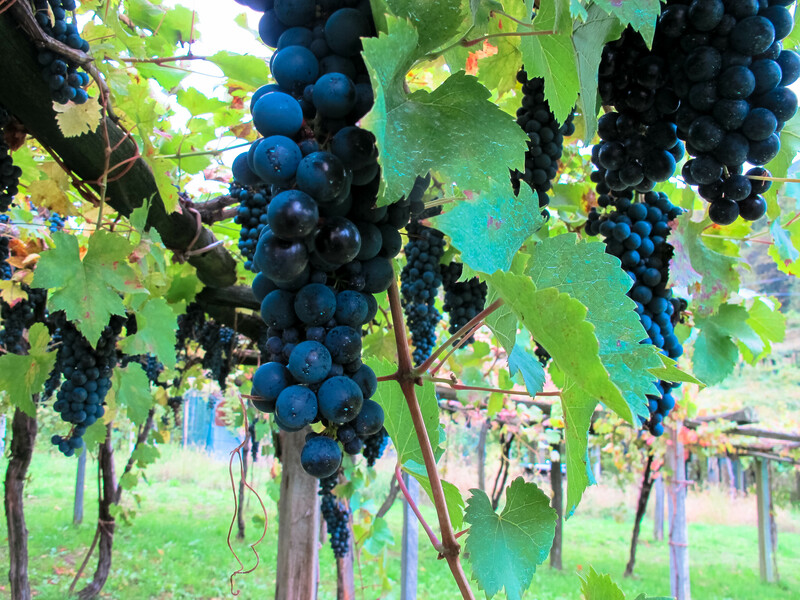 Mario bravely decided the local indigenous vines of his native Val d’Ossola were worth saving, at any cost. 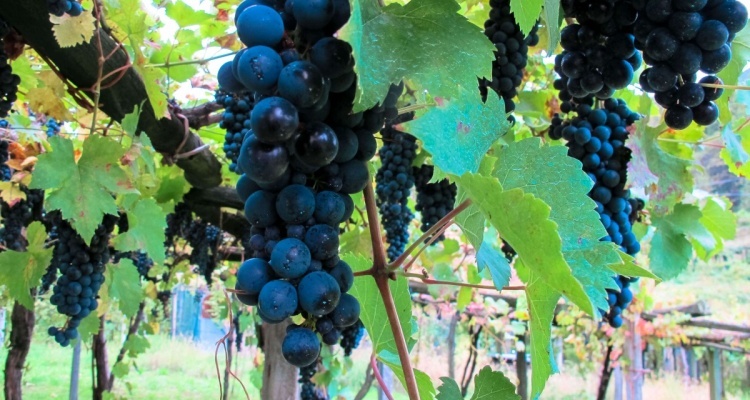 He begged the local grape growers to work with him to help preserve the existence of an ancient clone of Nebbiolo called Prünent, which many would say is actually the first and oldest clone of the grape. In order to piece together enough of these ancient “backyard” vineyards to make wine, Mario became a leader in the community, effectively spearheading the movement to keep Prünent alive. 100 year old Prünent vines. The wines of Cantine Garrone are especially poignant because of the magical, untamed wilderness where they are born. Ancient mountain roads wind up into the steep slopes, while switchbacks reveal awe-inspiring views. Hidden vineyards are revealed at unsuspecting turns, tucked safely along the hillsides. 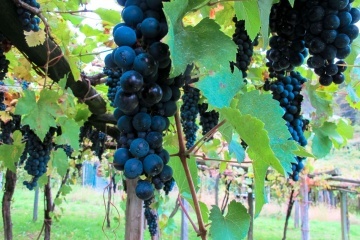 The local pruning style is referred to as a “topia” where the leaves are trained to protect the vines from above, sheltering the berries from the elements. An example of the local “topia” pruning. There is a constant thrum of Celtic drumbeats in this land. You can feel the roots of paganism working their way up form the stones and the forests. It’s in the mist, during that fascinating moment between day an dark. You’re not in sunny Tuscany anymore, Dorothy. Another reminder that Italy is truly diverse, some parts of itself so completely foreign to others. There is so much ancient wisdom, so much hidden history to discover here in Val d’Ossola. So much I want to learn. Prünent. 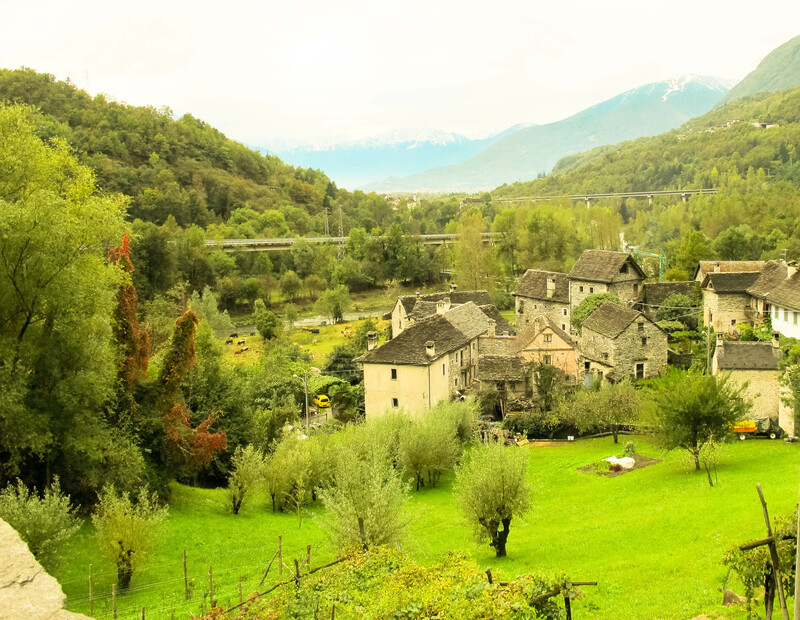 More than any other sentiment in Val d’Ossola, I felt an intense longing for the “olden days”. It’s not a cliché- this is a very real, blood-born, unwavering commitment to life in these mountains. The desire to work with mother nature, to weather the impossible elements and simply carve out a living here. To keep tradition and history alive- especially in the wines. I’ll say it again- wines are emotional for me. I was reminded of this the other day when I found the Munaloss from Cantine Garrone in Newport Beach at Pizzeria Mozza. It is shocking and beautiful to see sunny Californians enjoying this wine so far from its homeland- a beacon for me of truth and love of the mountains, in a place that represents all that is new and flashy and beachfront property. What a strange and beautiful world we live in. Rock on, Mozza. And grazie, Cantine Garrone.